Western Connecticut Health Network has developed a plan for the YMCA property on Norwalk’s West Avenue. Norwalk Police Chief Thomas Kulhawik said Monday Norwalk is no longer providing data to U.S. Immigration and Customs Enforcement (ICE) via the Vigilant Solutions license plate recognition system. The city information technology employee assigned to the department was asked to access the administration screen for the system and “uncheck” ICE as an agency receiving Norwalk’s data, he said. Kulhawik’s comments came after a blistering national ACLU report divulged that ICE was obtaining data from license plate readers and targeting immigrants. Kulhawik and Mayor Harry Rilling immediately released a statement seeking to reassure Norwalk’s immigrant community. “There were several other non-law enforcement agencies we also stopped sharing with,” Kulhawik said Monday. In addition, he said, several police departments across the country were found to not be sharing data with Norwalk, and they will also no longer receive the city’s information. “We’re about to publicly kickoff the East Ave TOD study next Saturday morning at 9 AM in the City Hall Community Room,” Planning and Zoning Director Steven Kleppin wrote recently to NancyOnNorwalk. Saturday’s workshop is “the first in a series of workshops to gather community feedback for the East Norwalk Transit Oriented Development (TOD) plan,” a flier states. This “visioning” session will help determine the future of the East Norwalk train station area. “Later this summer, if the timing works, the YMCA building will be taken down,” Western Connecticut Health Network Vice President Mitch Gross said last week to the Common Council. 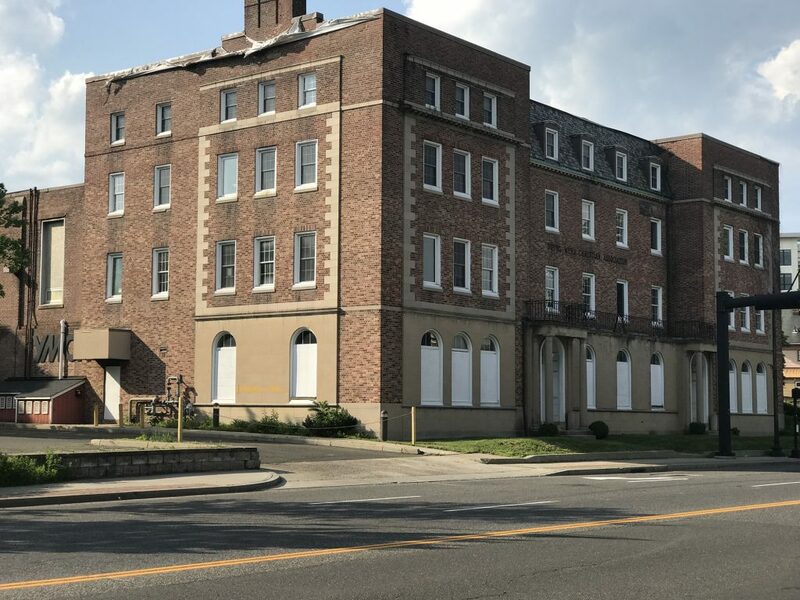 Norwalk Hospital, owned by Western Connecticut Health Network, plans to demolish the old YMCA and build a 254,000-square foot mixed use facility, to include 154,000 square feet of medical offices, 72,600 square feet of senior living with assisted living and memory care, and a 17,000-square foot wellness center, along with shared parking and a lobby, according to a summary document. Gross has been working through the City approval process, recently securing a deal to acquire two slivers of City-owned land adjacent to the YMCA property. The development will pay property taxes, Gross said to the Council. He predicted a “beautiful building” that will be an anchor for the area, employing 300 people. So is Norwalk a self declared “Sanctuary City” ? Or is that announcement delayed after Election Day ? Why is Mayor Rilling reluctant to explain the City’s announced policy of not co-operating with ICE ? Is ICE breaking Federal Statutes ? Or is it just Norwalk style politics of not saying anything about controversial issues ? Like the Boondoggle Bridge. Question, how does not reporting to ICE make Norwalks citizens safer, Norwalks police force safer???? I struggle with the reality of not reporting. Who will be responsible if a non reported illegal perpetrates more crimes and bodily harm either on one of our residents or Police officers. Any policy that goes against federal law, is a policy I am against. So, if I understand this correctly – The Norwalk Police Department is choosing to withhold information from another Law Enforcement agency. This how the 9/11 Terrorists “flew under the radar”. The CIA didn’t talk to the FBI who didn’t talk to local Police… Meanwhile, if the FBI or another Federal agency where to withhold information from local Police, the local Police have a FIT! So, @NPDChiefKulhawik – how is this different? How does this make my Family safer? Sounds like another disaster in the making. The only people who benefit are those who are breaking the law. How does Norwalk being a sanctuary city help make our schools run more efficiently. We have enough trouble educating legal citizens without the system being overwhelmed. This is upsetting on many levels. Not reporting to ICE leaves Norwalk in danger.